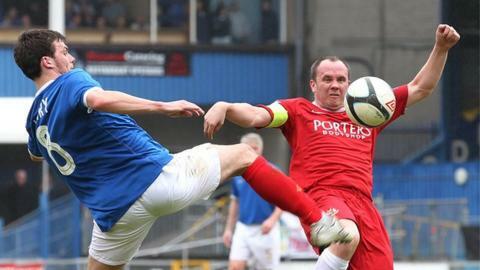 Portadown midfielder Richard Clarke is set for a lengthy lay-off from the game after being disagnosed with testicular cancer. The 33-year-old is recovering after undergoing surgery on Wednesday. Clarke, who has signed a new contract as a player/coach at Shamrock Park, signed for the Ports from Dungoyne Boys in 1994. The Castlederg-born player won the NI Football Writers' Young Player of the Year award in 1999. The former Northern Ireland U21 international Clarke was in the Ports side which won the Irish League in 2002 and Irish Cup three years later.